Paddy O’Melon is the endearing story of a young rainforest kangaroo. Separated from his mother as a young joey, Paddy is found and raised by an Irish family who live in the rainforest and often help orphaned or injured animals. But while Paddy loves his new human family, he’s curious to find out what he really is. So, he sets out on a journey into the rainforest where he meets a range of other interesting animals — from musky rat-kangaroos to green tree frogs, from ringtail possums to flying-foxes. But all he really wants is to be reunited with his mother and his own kind. Perhaps the cassowary can tell this little red-legged pademelon who he really is and take him safely home? Wildlife Australia have done a fantastic feature for Paddy O’Melon and are also running a colouring competition. – Click here to read and learn more. “This gorgeous story about the wildlife of the rainforests was the creation of highly regarded naturalist, Julia Cooper. … Full page colour illustrations will make children aware of the animals that call the rainforest home; their protection, and the dangers they face from predators and humans.” – Click here to read. “Take a journey with Paddy O’Melon through the superbly illustrated pages of this beautiful story which shines a light on some of Australia’s amazing rain forest animals” – Click here to read. 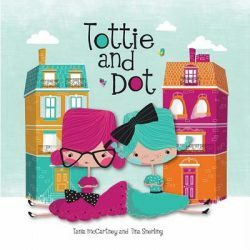 “A wonderful children’s book.” interview with Martin Cohen. Click here to listen in full. 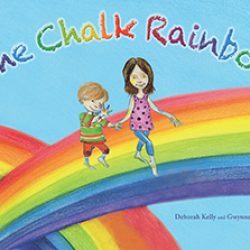 “A lovely book for children..(Julia’s) regard for all creatures great and small is between these pages, a lovely tribute.” – Click here to listen in full. 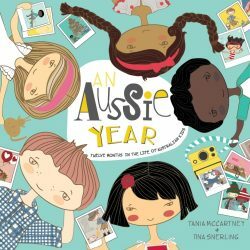 “The book follows a young joey who is found and raised by an Irish family who live in the rainforest and often help orphaned or injured animals.. the book would foster a love for and desire to learn more about native animals, especially those unique to Far North Queensland.” – Ilustrator Daryl Dickson interviewed, Click here to read. 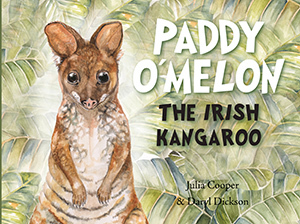 “A real character of the wet tropics…Paddy O’Melon is an Irish Kangaroo.. the star of a new children’s book featuring some of the most amazing creatures that live right on our doorstep” – Click here to listen. 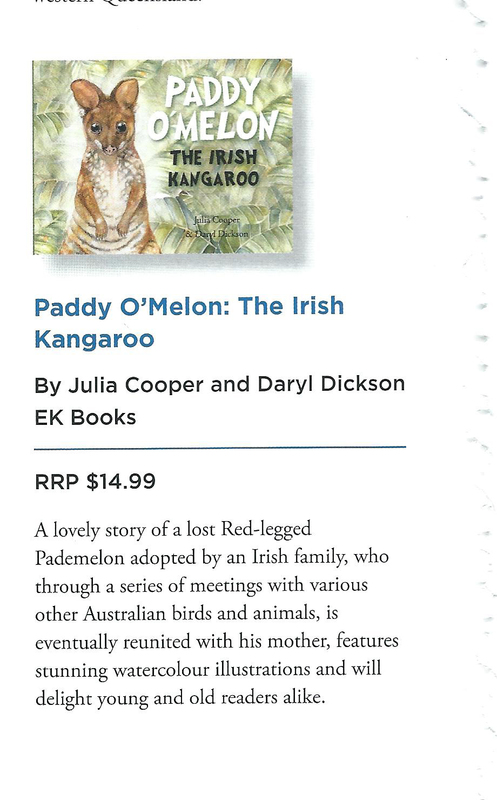 “Paddy O’Melon The Irish Kangaroo is an entertaining and educational picture book, which, as well as being the story of one young pedemelon’s separation from his mother, also gently shares the importance of protecting wildlife from dogs and other dangers and, through back-of-book notes, educates about the rainforest flora and fauna” – Click here to review in full. “a lovely story … features stunning watercolour illustrations” – Click here to view. 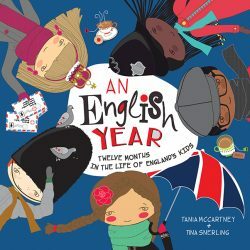 “A lovely book, beautifully written and illustrated. Julia Cooper the author, … worked in wildlife education and rehabilitation. With her partner, Martin Cohen she was always busy caring for native animals from flying foxes to pademelons. Julia’s passion included educating people, especially children about the wonders of the natural world and for us to look after native wildlife. In 2011 Julie sadly passed away from an auto-immune disease and has left this story as part of her legacy.” – Click here to view. Steve Backshall, naturalist, writer and television presenter for “Deadly 60”. Neil Nightingale, former head of the BBC Natural History Unit and producer of Wild Down Under and the Great Barrier Reef television series.